Hotel Los Parrales Tarija. 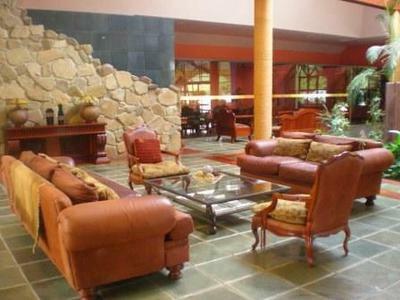 This resort hotel perched high on a cliff overlooking the river and countryside, offers the best views, amenities, customer service, and comfort in the region and is the only 5-star hotel in the city of Tarija. The hotel’s new manager welcomed us and the sales manager gave us a tour. Everything about this hotel exudes luxury from the lobby, to its spacious rooms, to its extraordinary spa with a striking mountain view, to the pool and gorgeous tropical gardens. Los Parrales has turned comfort into an art all the way down to the delicately accordion-folded bath tissue and it’s through these details that the hotel has earned its reputation for excellence. The hotel, just 10 minutes from the airport or downtown, has large matrimonial, double, executive and single rooms as well as a presidential suite, all of which enjoy beautiful views of the river and valley below from private terraces. Some are decorated in classic style and others in modern style. 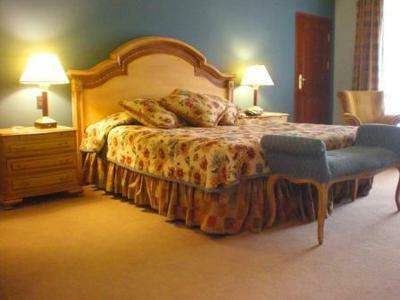 All have high-quality furnishings, carefully planned décor, heating, air conditioning, and wireless internet throughout. Room service, laundry service and wake-up calls are available as well. All rooms have desks, cable TV, safes, telephones, WIFI Internet, and minibars. You’ll find toiletries and other amenities in the bath, along with hair dryers (voltage is 220V in Tarija). The hotel has a beautiful pool surrounded by lush flower gardens, enormous grassy garden areas, overlooks of the valley all around the property, a playground, workout gym, dry and steam saunas, and an amazing jacuzzi with a striking view of the surrounding hills and a glass roof for ultimate stargazing. Local and international cuisine are served throughout the day and evening at the La Viña restaurant and you can enjoy cocktails at the La Falca bar. The hotel also boasts a business center with computers, Internet and fax service. The Los Toneles conference room seats 1000, the La Vendimia seats up to 400, the Bodega seats 30 and the La Buarida seats 15 people. The Hotel Los Parrales is currently building an additional convention center to one side of the hotel. 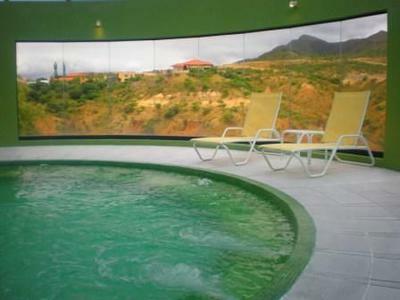 The Prefecture of Tarija gives Hotel Resort Los Parrales 5 supremely well-earned stars.